Hey, y’all! Long time no post (again). But I’m here today to introduce something I’ve very slowly been working on. A while back I drew these images just for fun, and decided to turn them into pieces I could include as freebies when customers order from my Etsy shop. I printed them on sticker paper and fuss-cut them (since my Cricut has been on the fritz, ugh). Thus they were sizable sticker flakes! Yay! So here it is! 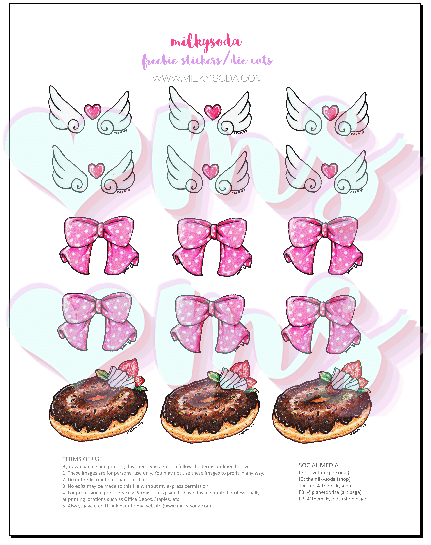 This is a sheet of 6 cute wing sets with a little heart in the center, 6 pink and white polka dot bows, and 3 decadent chocolate iced donuts. You can print them out on sticker paper and cut them to be sticker flakes, or onto cardstock and use them as die cuts! I have included a TOU as well as the permission for places like Office Depot/Staples that’s needed for them to be able to print the file legally. I hope y’all like this and look forward to what I can come up with next! If you use these, please tag me on any/all social media (listed conveniently right on the page!). I wanna see what you come up with! 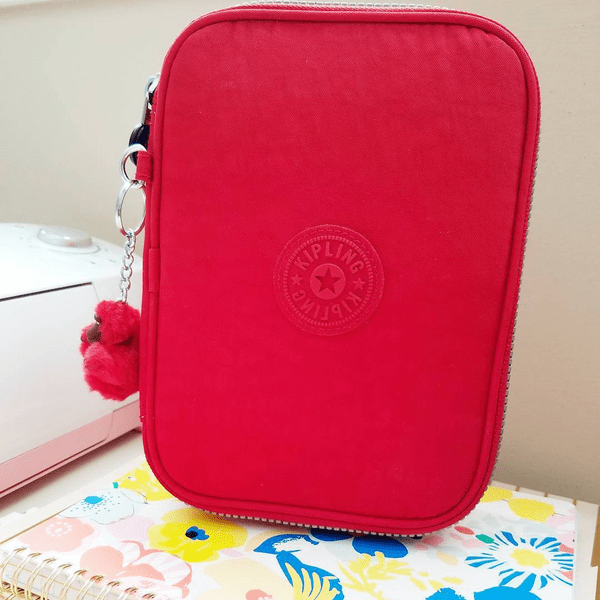 I’ve been in the planner community for almost two years now, and one thing I’ve been seeing repeatedly in that time is the Kipling 100 pen case. I didn’t see the big deal at first, and also did not think of Kipling as being a terribly cute brand, but like with most things I started changing my mind as time passed.